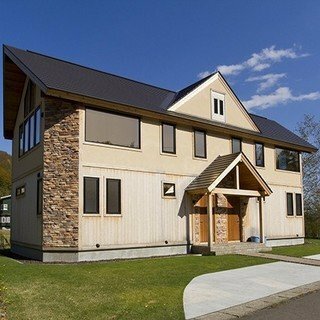 Combining Japanese décor with Western styling, these townhouses provide a tasteful, beautiful accommodation from which to base your vacation in Niseko. Start your day waking up to beautiful forest vistas from comfort of your cosy living/dining space. Take a short 5 minute walk up to the Ace Family chairlift to start your day on the mountain. 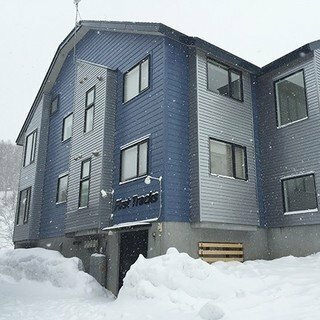 Whether you prefer chasing powder or racing down groomers, Niseko's terrain has something for everyone. Return to your accommodation exhilarated and ready for some relaxation. Spend your evenings exploring Niseko's restaurant scene, with a number of options within 5 minutes walk of your front door. Houses 1 & 2 have interconnecting entries that can be opened making it a suitable place for large groups wishing to travel and stay together. "Best staff ever, very helpful and the house was excellent! We enjoyed staying there for five nights and will definitely stay in it again !" 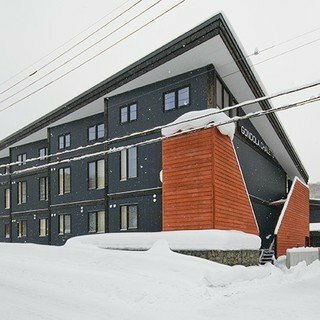 "The powdery snow, the surrounding and the proximity to almost everything you can ask for during a vacation." "Lovely accommodation. Fully equipped kitchen. Free shuttle to gondola. Great and friendly staff. Super efficient in replying to emails. Comfortable beds and the place is super clean."